Information: Philip Thornton, author of books and articles about Balkan folklore and dance. Voice of Atlas. Thornton, Philip. London: Maclehose, 1936. 226p. Illustrated. Dead Puppets Dance. Thornton, Philip. London: Collins, 1937. 332p. Illustrated, music. 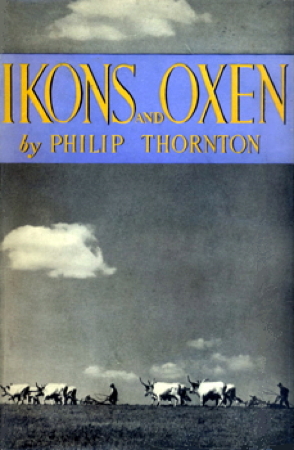 Ikons and Oxen. Thornton, Philip. London: Collins, 1939. 300p. Illustrated, music.